Our consulting can help you find great solutions to your needs. We have been operating across Southern Africa for over 5 years. All ready to use our consulting service? Want to know more about our consulting? For over five years, we have been organizing services into highly demanding regions. 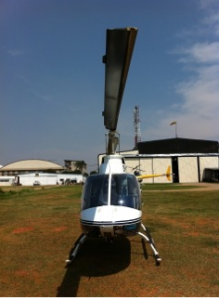 Our Directors have started helicopter organisations in Tanzania and South Africa. We have thousands of kilometers of helicopter flying experience over isolated regions. Our CEO was decorated by the British Queen for helicopters operations in war. Our consulting includes a network of trusted organisations in Malawi, Tanzania and Zambia. It is not just about helicopters. You may need include import agents, language skills and reliable individuals in isolated places across those countries. We can’t promise to find someone immediately local to your needs, but we know trustworthy people who can help give you a great solution. How does our consulting work? We believe you will get the best solutions from your dealing directly with a capable operator who can supply you with specific answers. So we introduce you. Depending on the type of work we will charge a small fee to a selected operator. Then you can then build a link with the people who will deliver your solution. Sometimes we will offer our own aircraft and pilots for solutions, as we did for example for Wings Like Eagles’ disaster response in Mozambique in 2013. That work involved light cargo, flying VIPs, flying engineers and survey work from an isolated grass strip. Why not contact us? See how we can help. We would be very happy to hear from you.